I’ve been using Google Docs more and more with each semester. I find it a great tool for organizing my work, files, and student work. It’s pretty easy to set up, to organize, and to keep track of students and their work. Since it is attached to the student’s school email and all done online, it avoids issues of compatibility and software issues. The most software they’ll need is an updated web browser. Any browser works well, but you can expect some wonkiness. For the rest of the article, click on through to the LETS Blog. So recently, I came into an abundance of wonderfully smelling flowers in vases that were starting to enter into the decay stage. Rather than let them go to waste or try to hang them upside down to dry them out (my cats would have had a field day with that! ), I decided to use my dehydrator and make some potpourri. It was a pretty easy process and makes for a wonderful olfactory delight in the apartment. 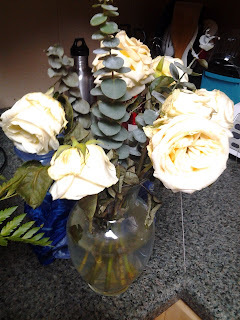 Pretty simple, quick to do, cheap, and a great way to upcycle flowers and keep their usage going long after they've hit their peak. Enjoy and let me know if you've tried it! 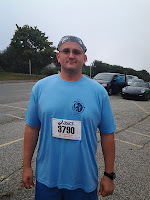 Adventures in Learning: Or My Skepticism About "Adults" Part 2: Learning In Adulthood. So in a previous post, I took to task some of the concerns and problems that I find with Tenant and Pogson's Learning and Change in the Adult Years. Now, I'm going to discuss Merriam, Caffarella, and Baumgartner's Learning in Adulthood (Henceforth: LIA). We had 2 chapters to read for LIA. Chapter 3: Adult Learners: Who Participates and Why & Chapter 13: Cognitive Development in Adulthood. Here we go! 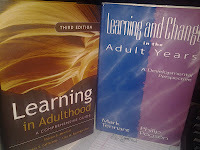 Adventures in Learning: Or My Skepticism About "Adults"
Learning and Change in the Adult Years: A Developmental Perspective by Mark Tennant & Philip Pogson.Learning in Adulthood: A Comprehensive Guide, 3rd Edition by Sharan B. Merriam, Rosemary S. Caffarella, and Lisa M. Baumgartner. For brevity sake, I'll probably refer to them as LCAY and LIA respectively. I'll work with LCAY first. For the full letter, click on through. As many of you know, I'm work on Master's Degree #3 (MEd in Instructional Design), in part because I'm a nerd and in part, it would help my current position as an Instructional Designer. One of their required courses (which is one of two that are required to be face to face) is The Adult As Learner. And if you can't anticipate what I'm going to say next, you're not paying attention. As part of that course, we're required to keep a blog. My instructor kindly let those who are blogging already use their own blogs, so this series of posts will be labeled as "Adventures in Adult Learning." So what did I do this summer? For those not following (or have properly blocked me on Facebook or Twitter). Lots. 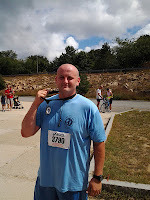 Running...Lots There's the training and the running that I did for the 25K run. That's been an aweome and inspiring project (for myself and hopefully, others out there). 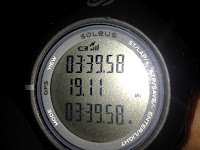 To go in just over a year from being a complete non-runner to a runner doing impressive runs still feels crazy in my mind and brings a smile to my face in reflection. It marks a major accomplishment in my own life.